Cashless Payment: Reason of huge fame of e-commerce trade is that you can offer great freedom to your buyers to purchase anytime, anywhere and without any need for cash payments. Currently, cashless payments have become a common operation. So what will be new in the mobile payment systems in 2018? It’s Google Pay, streamlined with Apple pay offers unique solutions to complete the payments transactions. It’s not an optional but it is mandatory to implement these options added by the Google. So get ready to implement this exceptional solution which can allow users to enjoy their shopping experience! Vertical orientations – Loads of companies implement this technique and allow users to enjoy the video without switching their devices. Biometric Authentication: – One other important thing is going to be famous trending this new year- Voice recognition, facial recognition or fingerprints. However it is not something new, but it will be trending in upcoming years. Password protection, pattern protection are old trends and these authentications will be popular as they more well-situated for customers to use these gestures whenever they want to unlock the screen or to log in. While comparing with traditional protection methods it is more secure and also very fast. You should also learn Human Interface Guidelines to make sure that you know the best practices for implementing this technology. Vibrant Colors: – Proper utilization of colors can enhance anything. It is one of the most influential tools in the designer’s toolkit. Vibrant colors also play the very important role in as a functional element in mobile application designing. Emotional Experience: – EI is another prominent thing going to be hit in 2018. It is a great technique to make the experience more attractive and wonderful. Tailor-made interface: – Personalized UX will continue to be a hot trend in 2018. Like the devices, like the frameworks- Native mobile app development or cross-platform app development framework – every user is quite different with another user on the front of instincts, habits. Then why the same UI for every user? How to make the customized screens, interface? This can be achieved by utilizing information already provided by the consumer and by using device sensors. Based on these details, apps can determine if the bigger font size is required, or it’s important to make the sound louder when playing videos. In 2018 we’ll see more apps use those capabilities to make the experience better and this tailored user interface are already utilized by the Starbucks. 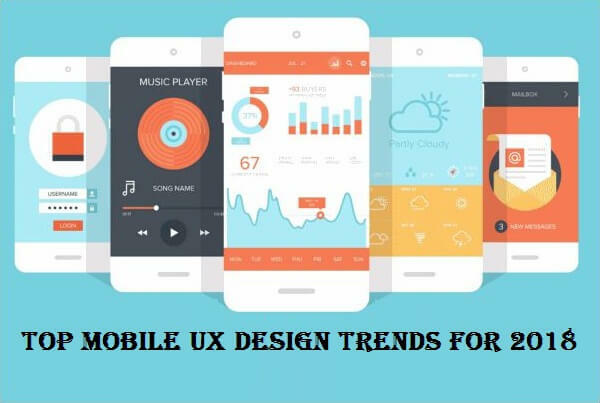 Next time when you develop the WooCommerce mobile app, make sure you are following all the popular and demanding trends in your mobile UX.